After visiting Perting Dam, it was time to chill at famous Kow Po ice-cream parlour in Bentong town. When I pointed the camera at this little girl in the shop, she paused for me to click. She is the six-year-old granddaughter of the lady selling nasi lemak outside. The man behind agreed she is really cheerful, helping the family when business is brisk and having fun at the same time. He is from the neighbouring town of Raub and he too recommended a few places to explore. I love a random road trip with no itinerary or schedule. Olympus OM-D, ISO 800, f4, 1/30 sec. 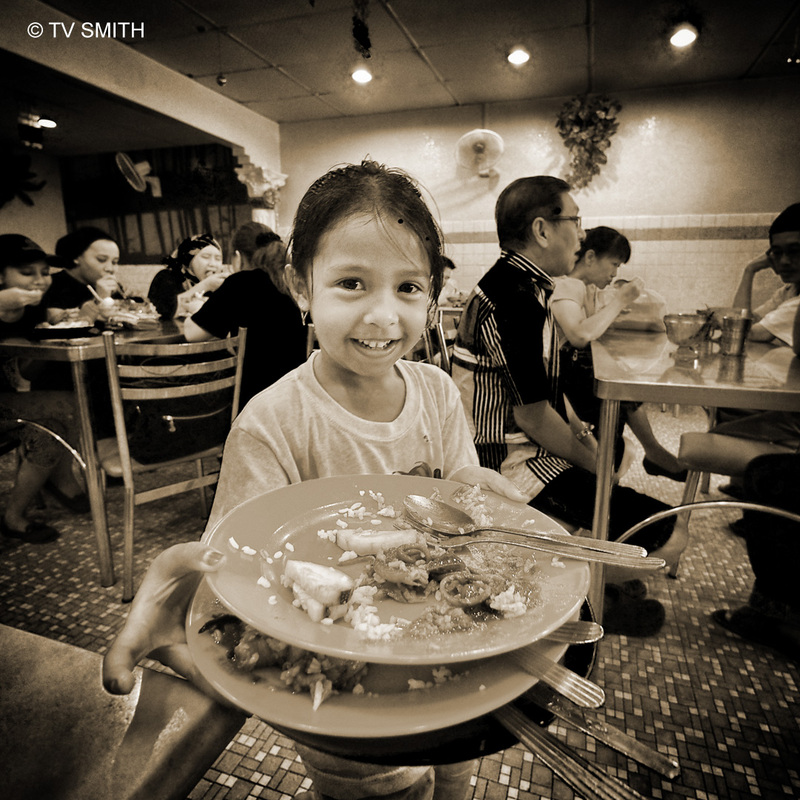 This entry was posted in Food, Geography, Instagram, Life, Olympus OM-D, Photography and tagged bentong, children, em-5, ice cream, kopitiam, kow po, nasi lemak, olympus, om-d, pahang, portrait, sepia, small town by TV Smith. Bookmark the permalink.